At Murawin we have a passion for strengthening cultural competencies and professional capabilities . 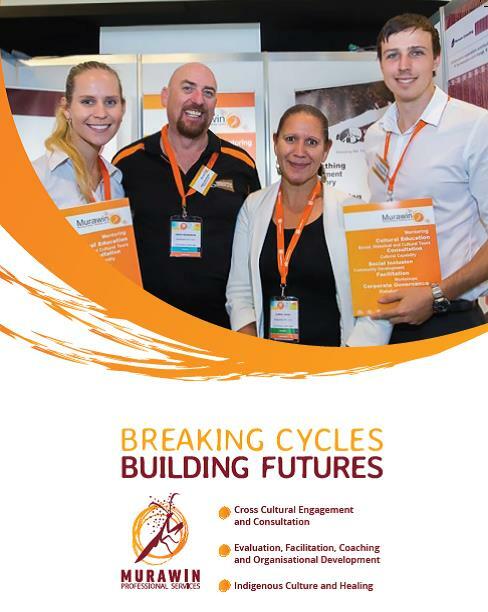 The Murawin team consists of a talented pool of Aboriginal and non-Aboriginal professionals who bring an extensive range of experiences in facilitation, policy development, project management, evaluation, social research and stakeholder engagement across a myriad of areas including Aboriginal Affairs, Child Protection, Disabilities, Health, Education and Justice sectors. Navigating the complexity of Indigenous communities is our specialty and we understand that successful engagement with Indigenous communities requires competence both culturally and technically. When you engage Murawin, you are engaging an experienced project team that offers excellent value for money and a proven track record of undertaking complex projects involving Aboriginal communities on time and on budget. Murawin Consulting is led by Carol Vale, a Dunghutti woman from NSW who has a strong reputation for developing culturally respectful and innovative responses to the complex and varied issues which affect Indigenous communities today. Sign up with your email address to receive Murawin news and updates.